Baccarat is a serious passion for many millions of people in Asia and around the globe. Last year 23 million people visited Macau, creating a gross gaming revenue of HK$184 billion (US$24 billion). Around 90 percent of this was on the game of baccarat, with all other games combined accounting for just 10 percent. Yet, this multi-billion dollar king of all games is little understood by many. 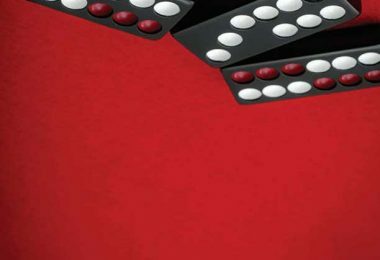 In our March/April 2010 issue, World Gaming published a detailed explanation on how to squeeze the cards when playing baccarat. We were met with an overwhelming response from players and even industry professionals who were delighted to finally have a thorough explanation of what all that squeezing, twisting and general mangling of the playing cards was all about. 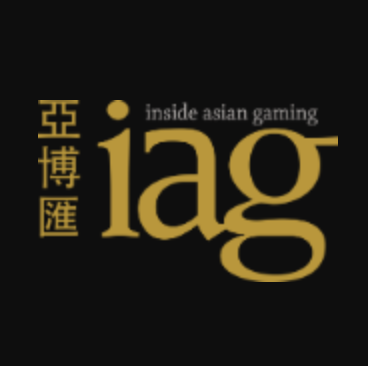 So now, for the benefit of our readers who do not understand or would like to understand better, World Gaming presents to you the art of following baccarat trends. Many think Stanley Ho brought baccarat to Macau, but actually it was first introduced by Tai Heng company, who won the monopoly Macau casino concession in 1937 and held it for 25 years. In 1962, STDM was granted the monopoly concession for 40 years. 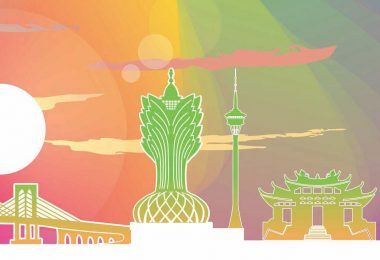 Of course the company continues to this day, with 17 Macau casinos still under its umbrella including Grand Lisboa and Lisboa. STDM had four founding fathers: Mr Ip Hon, Mr Terry Ip Tak Lei, Mr Stanley Ho and Mr Henry Fok. Mr Ip Hon had seen baccarat in the US and it was decided that the company would offer two baccarat tables. As they say, the rest is history. Baccarat flourished over time and eventually became the dominant Macau casino game it is today. Players have always looked for trends and patterns in the streaks of banker wins and player wins. At first, these streaks were recorded on paper. In fact, this is part of how the position of ‘VIP host’ came to exist. It was the responsibility of the VIP host to record the winning side (banker or player) each hand. VIP players could refer to these past trends when deciding what their bet should be. To this day some players prefer to use paper and pen. The red circles on the card represent banker wins and the blue circles represent player wins. I remember which colour is which by remembering that the name of the colour (red or blue) must not start with the same letter as the name of the corresponding winning side (banker or player). So banker must be red, not blue. We’ll delve into the deeper meaning of these circles later. The bead plate has many alternative names in English, such as ‘cube road’, ‘dice road’, ‘marker road’, ‘bead plate road’ and even ‘baby pig road’ (a direct translation of another Chinese name for it). Later we’ll explain how the bead plate is used, and the significance of the word ‘road’. These days, most players have discarded paper cards and the bead plate, because now all baccarat tables in major casinos have electronic displays attached to them, like this one. The beauty of these electronic displays is they show all the information that was recorded on paper and the bead plate, and often much more. They do this instantaneously and without error because they are directly connected to automatic card reading shoes. 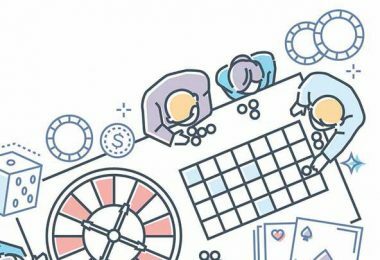 There is no effort on the part of the casino staff or the players, and the full suite of trend information is at the players’ fingertips at any time. 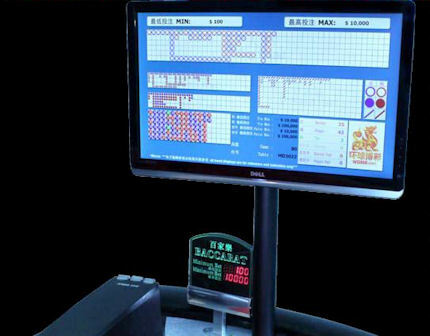 In this article, we use pictures from an electronic display, since it’s now the most common way of keeping track of baccarat results and trends. Baccarat trends are recorded on ‘roads’, which are pictorial representations of the results and trends of the shoe so far. The roads help players quickly assess the history of the game, identify trends and attempt to predict future results. Each road uses coloured symbols arranged in a rectangular grid of empty white squares called cells. 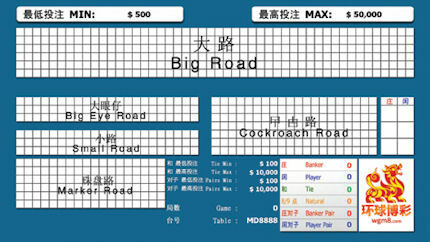 The standard height of any road’s grid is six symbols (although at the time of writing this article Galaxy Macau is using a non-standard grid height for the cockroach road). The width of any road is not very important, and can be considered to go on indefinitely. Roads only record the current shoe. At the end of each shoe, the screen is cleared and new roads are built from scratch. Below is an electronic baccarat display at the start of a shoe before any hands are dealt. You can see the positions of all five roads on the screen. 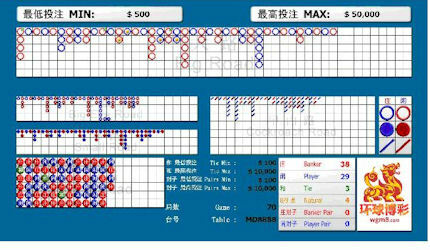 Different displays in different casinos have slight differences, but the basic pattern is the same. The big road is big and usually across the top of the screen. The bead plate (actually called the ‘marker road’ in figure 1 which is one of its alternative names) is at the bottom left (although sometimes it can be at the very top above the big road, as it is at Venetian Macau). The big road and the bead plate are similar in nature in that they both directly records the results of the shoe so far, in a simple manner. Big eye boy (called ‘Big Eye Road’ in figure 1), the small road and the cockroach road are much complex than the big road and the bead plate. Collectively those three roads are called ‘derived roads’ (we’ll explain that in more detail later). The derived roads are below the big road, always with big eye boy above the small road on the left, and the cockroach road on the right. Normally big eye boy, the small road and the cockroach road use symbols of half a cell’s height and width, so three rows of cells can fit six symbols vertically, and the standard rule of each road being six symbols in height is maintained. Notice on the display shown in Figure 1 cockroach road is shown as seven rows in height, which is unusual. Normally it would be three rows in height (with symbols taking up half a row each, effectively making it six rows in height). And you’re wondering what that other two-column-three-row grid over on the right is, aren’t you? Well, that’s called the ‘prediction table’, but we have a long way to go before we get to that! At first, baccarat results were just recorded on the ‘big road’. This is the main road and it is the road that all other roads are derived from. The big road is sometimes called the ‘big trail’ or the ‘big trend’ in English, but the more precise translation of the Chinese name大路 (pronounced da lu in Mandarin or dai lo in Cantonese) is ‘big road’. The big road is fairly simple. It is a grid, always six rows deep by many columns wide (I’ve seen as few as 36 columns and as many as 50 columns, but it doesn’t really matter). When recording the big road, a hollow red circle represents a banker win, and a hollow blue circle represents a player win. When the ‘other side’ comes up, a new column is started, and the process continues through the entire shoe in this fashion. As a result, the big road becomes a series of columns of alternating blue and red hollow circles, with a minimum height of one circle, and no maximum height. Each time the result changes sides between banker and player, a new column is used, so each column corresponds to a run or ‘streak’, allowing easy comparison of the length of streaks. To add to the confusion, the Chinese word for ‘road’ (which is 路, pronounced lu in Mandarin or lo in Cantonese) is also used as the Chinese word for ‘run’ or ‘streak’, but the context in which it is used makes it clear whether the speaker is referring to a single run of banker or player, or an entire road. There are some finer points for the big road. Ties are not displayed as a separate circle, but simply as a green line across the most recent circle drawn. Multiple ties give rise to multiple lines across the circle, or some displays show a small number next to the green line with that number representing the number of ties. 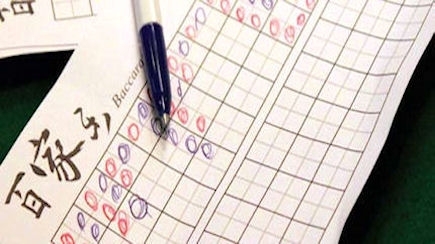 If a tie comes up before there has been any banker or player result yet in the shoe, the green tie line is drawn in the very top left cell in the grid, and then when the first banker or player result is known, that circle is written in the same cell under the tie line. 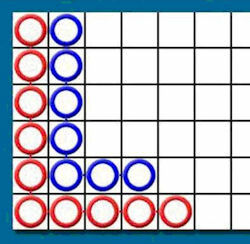 This means if you see a tie line over the circle in the very top left corner of the grid, you don’t know whether the tie came before or after the first banker or player. For all other green lines the tie came after the hand represented by the circle the line crosses. Pairs are displayed with a dot on the edge of the circle (red dot for banker pair, blue dot for player pair). On some displays, natural winners are displayed with a yellow dot in the middle of the circle. It all sounds confusing, but it’s easy to understand when you look at figure 2 which shows this sequence of events: banker win, player win, player (with natural), player, banker, banker, player (with player pair), player (with banker pair), banker, tie. Precisely ten hands have been played in the shoe. In the very unlikely event the big road runs out of columns, the road simply scrolls to the left and the results in the leftmost column drop off the display. Ping pong is an expression which describes having a run of alternating bankers and players. Some players refer to a run of two bankers alternating with two players as ‘double ping pong’. An obvious question is, what happens if there are more than six consecutive bankers or players, and the display runs out of room vertically? This is the type of situation baccarat players love! The streak simply turns right when it hits the bottom of the grid and continues along the bottom row. Once the streak has turned right, it creates a pattern known as ‘the dragon’. Most baccarat players agree that if a dragon appears, you should bet on it, hence the catchphrase, “follow the dragon”. Of course the longer any dragon is, the better. If a streak happens to bump into a dragon along the bottom of the big road, it immediately turns right (no matter which row it is in), and creates a new dragon. Some players refer to this situation as a ‘double dragon’. In the highly unlikely (and happy) event that there are so many dragons on the big road that it all becomes confusing, you might notice there are very fine, almost imperceptible, connecting lines between the circles on the electronic display, so you know which circle is connected to which. Figure 4: A dragon of 10 bankers at the very start of the shoe, immediately followed by another dragon of seven players! Note the very slight lines connecting the circles in figure 4. If the second dragon continues it would go on to the right indefinitely. Most displays don’t drop the second dragon down if it gets longer than the first dragon. The bead plate is an exact electronic representation of what the cubes in the tray would show had an actual physical bead plate or cube tray been used. Once again, red means banker, blue means player and green means tie, and the symbols used are solid coloured circles superimposed with a Chinese character representing the result. The first symbol appears in the top left corner of the grid and the road fills down vertically through all six cells of the column, before moving to the second column and those six cells are filled in, and so on. There is no moving to a new column until the previous column is filled, irrespective of the result of each hand. The bead plate in figure 5 shows the exact same sequence of ten hands as the big road in figure 2. Note that the bead plate does not show naturals or pairs, but unlike the big road it does show ties as a separate symbol occupying a cell in the grid. This is where things started to get interesting. It wasn’t until after STDM’s flagship Casino Lisboa opened in 1970, that ‘big eye boy’, the ‘small road’ and the ‘cockroach road’ were invented. Collectively, these three roads are called the ‘derived roads’. Some people also refer to them as ‘predictive roads’. The three derived roads were invented in Macau, but have now spread across Asia and the world. You’ll even see these roads on electronic betting terminals and online baccarat. While the big road and the bead plate are intuitive and quite simple to understand, the derived roads are not. Most people who do understand the derived roads agree that it took quite a while before the penny dropped. Coming to understand these roads and how to use them can be a frustrating journey. But once you do, you can impress your fellow players with your thorough knowledge of these complicated baccarat trend-following systems! The history behind these roads is murky. If anyone can add to what I know, I’d love to hear it. I am told the ‘small road’ (which in Chinese is 小路, pronounced xiao lu in Mandarin and siu lo in Cantonese) was initially invented by a Mr Chan Kuen back in the early 1970s, in the early days of the Casino Lisboa. Not long after, in the mid 1970s, it seems Lisboa dealer Chao Hon Mun adapted the small road to create a new road. Apparently Chao Hon Mun had big eyes, and his new road became known as ‘big eye boy’, which in Chinese is 大眼仔 (pronounced da yan zai in Mandarin and dai ngan jai in Cantonese). Later, someone adapted big eye boy and small road to create ‘cockroach road’, which is 曱甴路 in Chinese (pronounced yue you lu in Mandarin and kat tsat lo in Cantonese). Mandarin speakers, who use a totally different word for ‘cockroach’, won’t normally understand the written 曱甴路 or the spoken kat tsat lo. A casino boss friend of mine said he heard some junket agents chose the unusual name ‘cockroach’. They are not a direct representation of the results of the shoe so far. It is futile to try to find a relationship between the big road and the derived roads just by the naked eye without understanding the so-called ‘colour rules’, which are described later in this article. They are all derived from the big road and describe the patterns in the big road. Each of big eye boy, the small road and the cockroach road describe slightly different kinds of patterns (we’ll get to that later). Derived roads don’t tell you exactly what happened, they tell you whether there were patterns in what happened. The derived roads are made up of red and blue symbols: hollow circles for big eye boy, solid circles for the small road, and slashes for the cockroach road (see figure 6). IMPORTANT: The red and blue symbols that make up the derived roads do not correspond to banker or player. They just mean red and blue (later you will see ‘red’ generally means there is a pattern, and ‘blue’ generally means that the shoe is ‘choppy’, with no pattern). Understanding this is fundamental to understanding derived roads and the fact that red and blue do not represent banker and player is often a source of much confusion for players new to baccarat trend following. These red and blue symbols are the only symbols in the derived roads. There are no special markings corresponding with ties, pairs or naturals. The derived roads only concern themselves with trends and patterns of banker and player results. For the cockroach road: The hand after the first hand in the fourth column of the big road. Once you understand the colour rules, you’ll understand why these roads start when they do. Most baccarat games use eight decks per shoe. This is enough for about 70 to 80 hands, depending on the casino’s policy regarding how many cards they cut off the back of the shoe. Figure 6 shows a shoe where 70 hands have been played, so it’s almost completed. Notice the big road is at the top, with the three derived roads underneath it. Big eye boy is below to the left and small road is below big eye boy. Cockroach road is to the right. Note that a standard cockroach road is only six symbols in height. The bead plate is shown toward the bottom left of the screen, underneath the three derived roads. Remember, on some displays (such as in the Venetian Macau) the bead plate is shown above the big road. 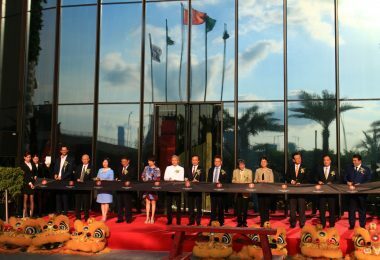 You are probably wondering about the small table at the extreme right with the three blue and three red symbols in it (above the World Gaming mascot, Pai Yao). This table is called the ‘prediction table’, but don’t worry about that for now, all in good time. Make sure you pick up your copy of the September/October issue of World Gaming magazine, or check it out online at wgm8.com.